Draft: 2014, Colorado Rockies, 1st rd. Kyle Richard Freeland … resides in Scottsdale, Ariz., in the offseason ... Son of Don and Susan … has an older brother, Colin … his mother works at the elementary school he attended in Denver, Holm Elementary ... Enjoys playing golf in his free time … was featured on the cover of Colorado Avid Golfer Magazine in April 2018 ... A Denver native who graduated from Thomas Jefferson High School ... Attended college at the University of Evansville in Evansville, Ind ... Rated the seventh overall player in the 2014 Draft by MLB.com and the fifth overall player by Baseball America ... Was originally drafted by Philadelphia out of high school in the 35th round of the 2011 First-Year Player Draft, but did not sign. Finished fourth in National League Cy Young Award voting after going 17-7 with a 2.85 ERA (202.1 IP, 64 ER), the second Rockies pitcher to finish in the top four in Cy Young Award voting (also: Ubaldo Jiménez, third, 2010) ... His 2.84 ERA was the lowest in a full season in franchise history and the fourth-lowest in the NL in 2018 … it was the second-lowest in franchise history among ERA qualifiers trailing Marvin Freeman's 2.80 ERA (112.2 IP, 35 ER) in the strike-shortened 1994 season ... Started the National League Wild Card game at Wrigley Field on three days rest, pitching 6.2 shutout innings … allowed four hits with one walk and six strikeouts … only pitcher in franchise history to pitch at least six scoreless innings in a postseason game ... His 202.1 innings pitched ranked fifth in the National League, the first Rockies pitcher to reach 200 innings pitched in a season since Ubaldo Jiménez in 2010 (221.2 IP) ... His 24 quality starts were fourth in the NL and tied for second in franchise history with Ubaldo Jiménez in 2009 ... His 17 wins tied for the second-most in franchise history and tied for fourth in the NL … most wins by a Rockies pitcher since Jiménez won a franchise-record 19 games in 2010 ... Finished the season with 173 strikeouts, the ninth-most in franchise history ... Induced a National League-leading 24 double plays ... Went 10-2 with a 2.40 ERA (93.2 IP, 25 ER) in 15 starts at home, the lowest home ERA in franchise history and tied for the most wins ... Finished the season on an eight-game winning streak over an 11-start span from Aug. 6-Sept. 28, tied for the second-longest streak in franchise history, the longest since Ubaldo Jiménez won a franchise-record nine straight in 2010 … posted a 2.18 ERA (70.1 IP, 17 ER) with 11-straight quality starts over that span, the fourthlongest quality start streak in franchise history ... The Rockies went 23-10 in his 33 starts, including 12-2 in the second half … Colorado went 10-1 in his first 11 starts of the season ... Went 9-1 with a 2.49 ERA (86.2 IP, 24 ER) in 14 starts after the All-Star break, the lowest second-half ERA by a Rockies starting pitcher in franchise history … nine wins were tied for the most in the NL and tied for the second-most after the All-Star break in franchise history ... Went 7-5 with a 3.23 ERA (108.2 IP, 39 ER) in 18 starts on the road … went 5-1 with a 2.66 ERA (67.2 IP, 20 ER) with eight quality starts over his last 11 road starts ... Limited left-handed hitters to a .185 batting average, including a .100 batting average (5-for-50) with no extrabase hits allowed in the second half of the season. Made his Major League debut on April 7 vs. Los Angeles-NL and was on the roster for the entire season, tied for first among Major League rookies with 11 wins...Also ranked third in innings pitched (156.0), fifth in ERA (4.10, min. 15 starts) and seventh in strikeouts (107) among all Major League rookies...His 11 wins tied for the fourth-most among rookies in franchise history … his 4.10 ERA was the fourth-lowest by a rookie in franchise history, the lowest since Jhoulys Chacin set the franchise record for rookies in 2010 (3.28)...Was 9-7 with a 3.77 ERA (107.1 IP, 45 ER) in 18 starts prior to the All-Star break … went 2-4 with a 4.81 ERA (48.2 IP, 26 ER) in 15 appearances, 10 starts, in the second half...Scored upon in two of five relief appearances with a 2.84 ERA (6.1 IP, 2 ER) … first career relief appearance on July 15 at New York-NL, and four relief appearances in July...Went 6-8 with a 3.72 ERA (87.0 IP, 36 ER) in 19 appearances, 16 starts, at Coors Field … the 10th-lowest home ERA in franchise history among all pitchers, the second-lowest by a Rockies rookie (Denny Stark, 3.21 in 2002)...In the last game prior to the All-Star break on July 9, took a no-hit bid through 8.1 innings before allowing a hit to Melky Cabrera with one out in the ninth inning … it was the longest no-hit bid in Denver in franchise history and the second-longest in any ballpark in Rockies history behind Ubaldo Jiménez' no-hitter in Atlanta in 2010...Hit his first professional home run May 21 at Cincinnati, a solo home run off Bronson Arroyo … also recorded a double in the game. Made his Double-A and Triple-A debuts and was named an MiLB.com Organization All-Star...Assigned to Double-A Hartford on April 6 and made his Double-A debut April 7 against Richmond, pitching five innings and allowing one run on four hits with one walk and three strikeouts...Promoted to Triple-A Albuquerque June 25 and made his Triple-A debut the same day vs. Salt Lake City and allowed five runs (four earned) on 11 hits with two walks and five strikeouts...Invited to his first Major League Spring Training and went 1-0 with a 3.52 ERA (7.2 IP, 3 ER), one walk and four strikeouts across two Cactus League games with one start. Began the season with Rookie-Level Grand Junction and made two starts before being promoted to High-A Modesto for the remainder of the season...Allowed no runs on two hits with two walks and nine strikeouts across seven innings pitched over two starts with Grand Junction ... was promoted to Modesto Aug. 1...Played for Salt River Rafters of the Arizona Fall League and was named as a Rising Star after going 4-1 with a 2.84 ERA (25.1 IP, 8 ER), 26 hits, three home runs, seven walks and 13 strikeouts across six starts. Initially assigned to Grand Junction after being drafted...Held left-handed hitters to a .059 average across both levels … following the season, Baseball America ranked him as the third-best Rockies prospect and Baseball Prospectus rated him the 76th-best prospect in all of baseball. April 22, 2019 Colorado Rockies placed LHP Kyle Freeland on the 10-day injured list retroactive to April 19, 2019. Blister on left middle finger. October 5, 2017 Colorado Rockies activated LHP Kyle Freeland. October 4, 2017 Colorado Rockies reassigned LHP Kyle Freeland to the minor leagues. August 15, 2017 Colorado Rockies activated LHP Kyle Freeland from the 10-day disabled list. August 5, 2017 Colorado Rockies placed LHP Kyle Freeland on the 10-day disabled list. Left groin strain. April 2, 2017 Colorado Rockies selected the contract of LHP Kyle Freeland from Albuquerque Isotopes. February 2, 2017 Colorado Rockies invited non-roster LHP Kyle Freeland to spring training. June 25, 2016 LHP Kyle Freeland assigned to Albuquerque Isotopes from Hartford Yard Goats. April 6, 2016 LHP Kyle Freeland assigned to Hartford Yard Goats from Modesto Nuts. February 11, 2016 Colorado Rockies invited non-roster LHP Kyle Freeland to spring training. September 4, 2015 LHP Kyle Freeland assigned to Salt River Rafters. August 1, 2015 LHP Kyle Freeland assigned to Modesto Nuts from Grand Junction Rockies. April 6, 2015 LHP Kyle Freeland assigned to Grand Junction Rockies from Asheville Tourists. August 5, 2014 LHP Kyle Freeland assigned to Asheville Tourists from Grand Junction Rockies. June 16, 2014 LHP Kyle Freeland assigned to Grand Junction Rockies. 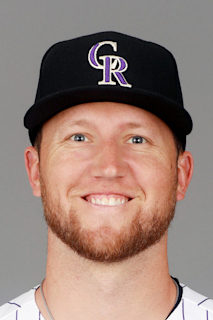 June 15, 2014 Colorado Rockies signed LHP Kyle Freeland.